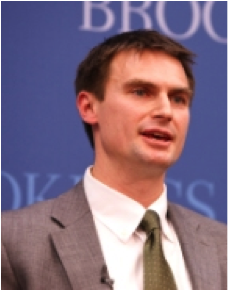 Edward Sayre is the director of research at the Middle East Youth Initiative. He is also an associate professor of Economics at the University of Southern Mississippi and a non-resident fellow at the Global Economy and Development program at the Brookings Institution. He received his Ph.D. in Economics from the University of Texas at Austin in 1999. Dr. Sayre has written numerous journal articles, book chapters and research monographs on the Palestinian economy, with an emphasis on the Palestinian labor market. Sayre was previously a visiting research associate at the Palestine Economic Policy Research Institute (MAS) in Jerusalem from 1996 to 1997 and has also taught at Kenyon College and Agnes Scott College. Dr. Sayre is a member of the board of directors for the Middle East Economic Association, where he has served since 2002.